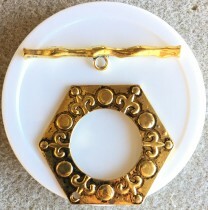 Clasp, toggle, antiqued gold-finished “pewter” (zinc-based alloy), 47x41mm hexagon design. 1 set per pack. 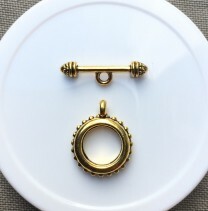 Toggle / clasp, antique gold-plated brass. 16mm round. 1 set per pack. 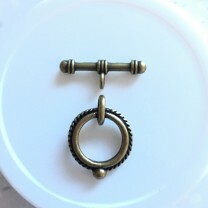 Toggle / clasp, antique brass plated “pewter” (zinc based alloy). 14mm round. 4 sets per pack. 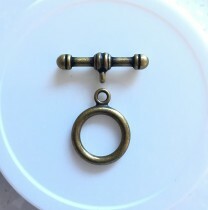 Toggle / clasp, antique brass-plated “pewter” (zinc based alloy). 12mm round. 5 sets per pack. 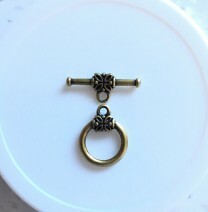 Toggle / clasp, antique brass-plated “pewter” (zinc based alloy). 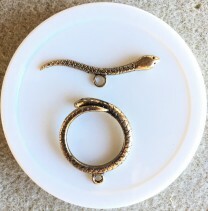 18mm double-sided twisted rope round. 1 set per pack. 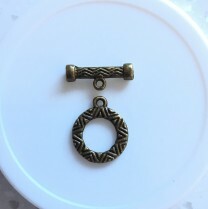 Toggle / clasp, antique brass plated “pewter” (zinc based alloy). 17mm single-sided round with vine and flower design. 2 sets per pack. 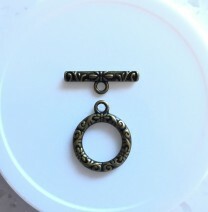 Toggle / clasp, antique brass-plated “pewter” (zinc based alloy). 16mm round. 2 sets per pack. Toggle / clasp, JBB findings. 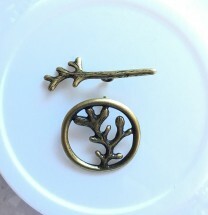 Antique brass-plated “pewter” (zinc-based alloy) features uneven round with twig design . 22.5mm round. 1 set per pack. JBB Findings has been Israel's leading company for manufacturing and casting of jewellery findings. JBB Findings is world-renowned for its innovative designs and high quality products. 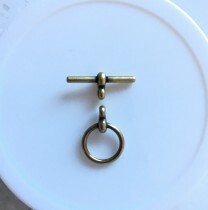 Toggle / clasp, antique gold-plated “pewter” (zinc-based alloy). 18mm double-sided beaded round. 2 sets per pack.